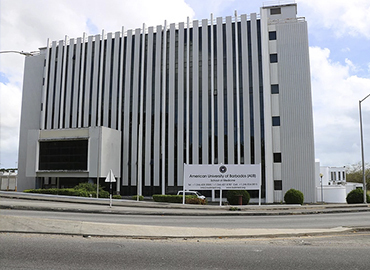 Ross University School of Medicine (RUSM) is a notable institute which provides quality education to students across the globe since 1978. 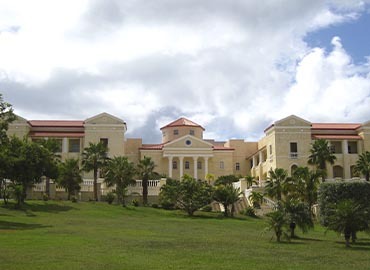 The University is situated in Barbados, Caribbean Island. It is accredited and approved by the CAAM-HP (Caribbean Accreditation Authority for Education in Medicine and other Health Professions), the Medical Council of India (MCI) and is also enlisted with WDOMS (World Directory of Medical Schools). The University offers excellent infrastructure, an advanced education model, with instructions by well-qualified professionals (faculty members). The sole purpose of the university is to empower the students in every possible manner. RUSM admits students three times a year - January, May, and September. 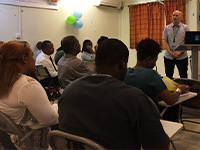 RUSM accommodates all the students in the RUSM housing facility located in the Villages at Coverley unless the students accompanying with their companions/dependents or living with local family or have a disability that cannot be accommodated within the RUSM premises. Special arrangements for students with disabilities are also available, that must be requested by filing an accommodation form at the time of registration. RSUM hostels have all the basic amenities required for a pleasant stay of the students during the tenure of their course. The students feel safe and have a friendly zone ambience within the campus. 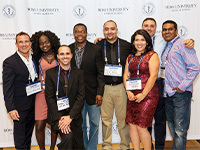 In RUSM, the students all together experience a distinguished standard living. RUSM provided transportation pickup location at Coverley to/from academic campus. The University has an active indulgence in the sports community, offering all the necessary facilities needed for physical activities. The students are provided with all the campus services like an ambulatory health clinic, counselling centre, fitness centre, book store and much more. The students have set up different clubs and organizations, for their social growth. The island was entirely abandoned. When the British landed on the island, it is believed that the only trace they found was a primitive bridge built over the Careenage area’s swamp, at the centre of Bridgetown. The main economic sectors of Bridgetown, Barbados is agriculture & tourism. Bridgetown also has a well-monitored stock exchange with securities of Barbadian & regional Caribbean companies. Bridgetown experiences a tropical wet & dry climate, with relatively uniform temperatures throughout the year. Major tourists attractions of Bridgetown are Carlisle Bay, Parliament Buildings, National Heroes Square, St. Michael’s Cathedral, Queen’s Park, etc. 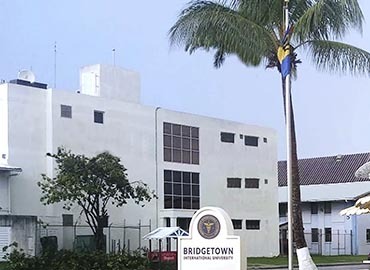 Bridgetown has access to everyday flights via the island’s Airport. The city also renders public buses & route taxis for its natives & tourists. These are also operated as taxicabs for hire. International students can easily discover coffee shops and restaurants of national cuisine & European restaurants that offer exotic food like Cou-Cou, Flying fish filet and conkies, which are considered the all-time favourite food of both locals and tourists. 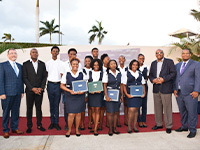 The best restaurants of Bridgetown are The Cliff, David’s Place, The Schooner, Nelson’s Arms, Nico’s and Waterfront Café for the International students who study medicine in Bridgetown.